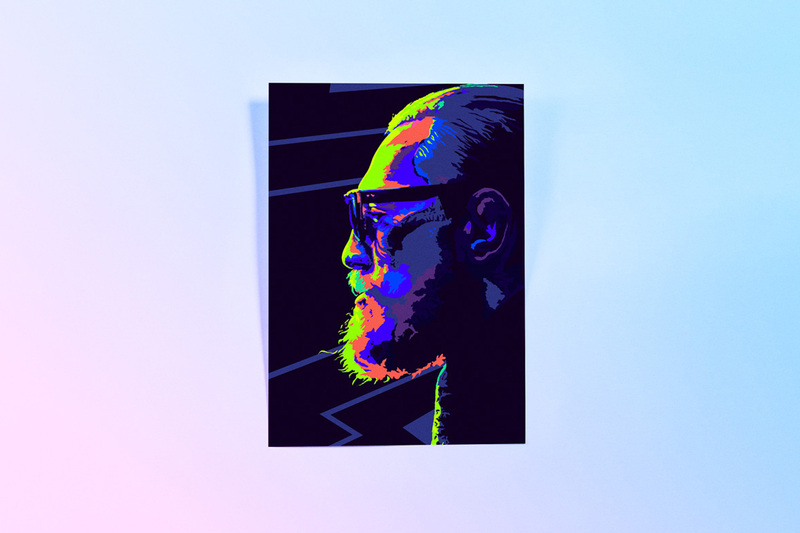 Vector portrait illustration of The Notorious Conor McGregor. This was a personal project I took on just before the UFC189 bout between The Notorious Conor McGregor and Chad Mendes. It’s a 100% vector illustration, based off of a photo that UFC president Dana White uploaded to Instagram just before the weigh-ins in Las Vegas.